Two GOP presidential candidates will try to break Donald Trump’s iron grip on media attention Thursday when they speak at the 42nd annual meeting of ALEC. Times of San Diego will stream appearances by Gov. 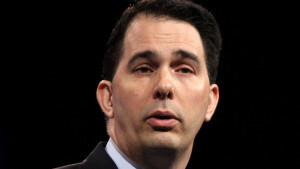 Scott Walker of Wisconsin and former Gov. 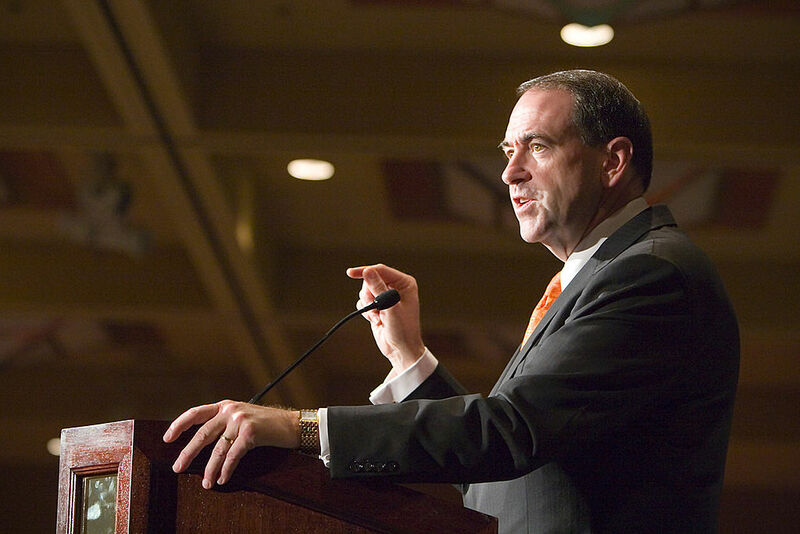 Mike Huckabee of Arkansas. Bookmark this page for the live feeds via Periscope or follow Times of San Diego on Twitter. Sen. Ted Cruz of Texas will not appear Friday as previously announced, said ALEC spokeswoman Molly Fuhs. He informed organizers that he has Senate votes planned that won’t allow him to make the trip, but may send a video greeting. “The people that forget their current obligations to their constituents — they’re not the best to be promoted to the higher offices,” Anderson said Wednesday. The Republican presidential hopefuls visit as polls show Trump’s popularity growing and time narrowing to gain a spot in key televised debates. Walker is set to speak at the plenary breakfast, 8 to 9:15 a.m. Thursday. 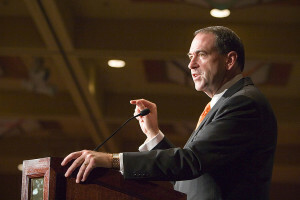 Huckabee follows at the plenary lunch, 12:30 to 2 p.m. Thursday. Fuhs (as in foosball) said all presidential candidates, including Democrats, were invited to the San Diego ALEC meeting. Meeting at the Manchester Grand Hyatt in downtown San Diego, 1,300 members and guests of the American Legislative Exchange Council — business leaders, policy experts and lobbyists — will trade ideas with conservative office-holders amid a series of outside protests. San Diego Mayor Kevin Faulconer is scheduled to “pop in” at a private reception Wednesday night, Fuhs told Times of San Diego. Faulconer’s presence is attacked in a change.org petition with more than 1,900 signatures. The meeting schedule includes a Wednesday policy workshop moderated by former Chargers placekicker Rolf Benirschke, chief patient officer at San Diego-based Legacy Health Strategies. ALEC, which calls itself a think tank for “state-based public policy issues and potential solutions,” has a mix of meetings — some open to news media and others not. 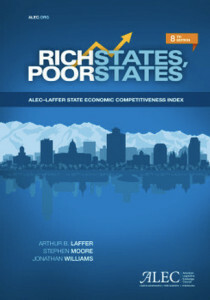 Similar policy groups exist on the left, including the National Conference of State Legislatures and SiX, the State Innovation Exchange. Tuesday on KPBS radio’s “Midday Edition,” ALEC’s role was debated by county Democratic chair Francine Busby, county Republican vice chair Ron Nehring and San Diego State political science professor Ron King. With time running out on the segment, Cavanaugh broke up the scrum and gave Nehring a chance to answer her question.